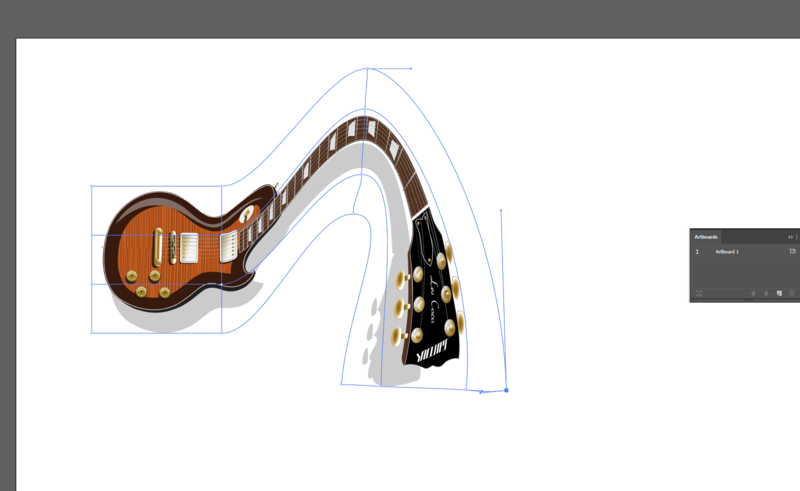 I want to make a curl out of a guitar neck. 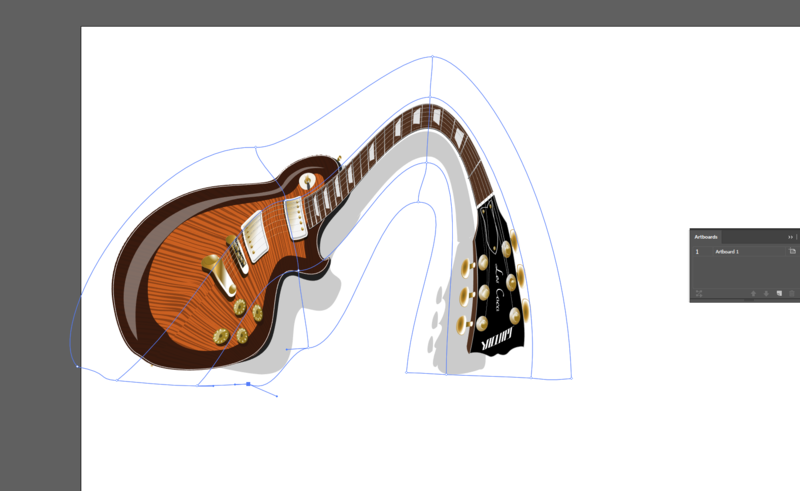 Just to give you some idea, I want to know how I can make the neck a bit curled up to the top so that the entire guitar looks like a written "g". The problem is that all those strings and the details are made of many different objects and I cannot make them curly one by one. I would really appreciate it if someone tells me how I can make something like a path and make the neck follow that. 1) - given you already have this much done: Mesh Warp is your friend. Don't add too many rows and columns - becomes hard to make smooth. 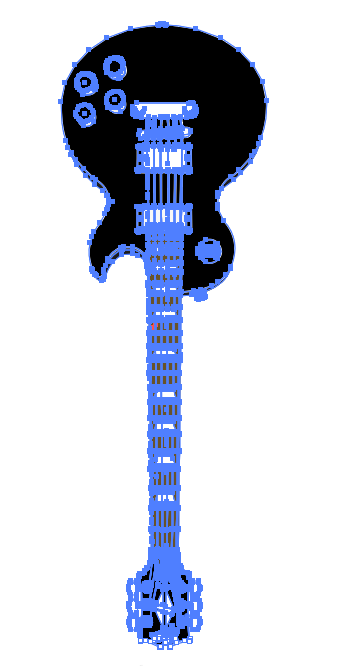 Which as you can see, allows you to melt your vector guitar pretty well. [How can I change the thickness of a doughnut shape without changing the radius? Not the answer you're looking for? 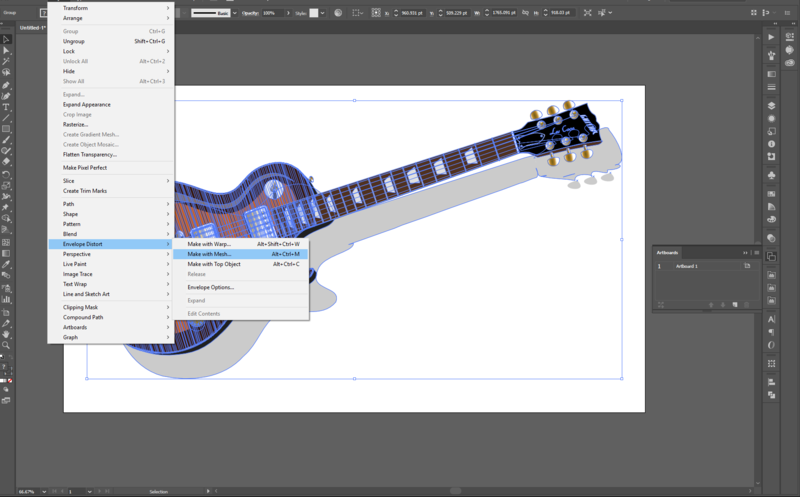 Browse other questions tagged adobe-illustrator vector path or ask your own question. Illustrator: How to make a repetitive change to a path? How to make wind flow / aerodynamic diagrams? Illustrator shadow layer inside a layer with stroke? 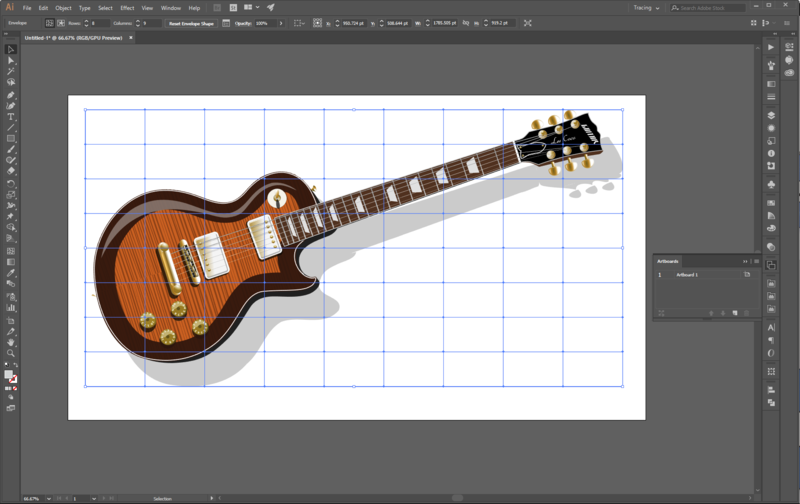 Outline Dashed Line Stroke: How to order objects? 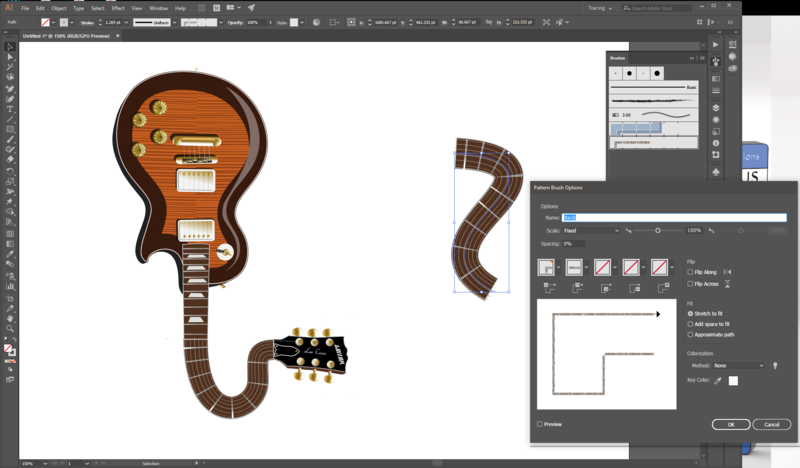 Illustrator: How to skew text independently of path?